Calling all businesses and organizations to register now for the City Parade. Please email Candaces@micityoffraser for more information or to request a parade entry form. 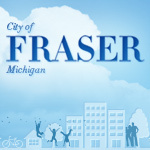 This is a great way to advertise your group or business and show your City of Fraser pride!